Leigh Kramer wrote a fantastic post last week titled "Nashville Doesn't Love Me." She shared about the struggle of moving to Tennessee and seeking depth but it alluding her. I think this post was brutally honest and vulnerable - in such a good way. I sense she received a bit of backlash and followed up with 2 additional posts to provide some context. However, I prefer the first swing she took at this tough topic of searching for community. I can be red or blue or a gorgeous shade of purple on any given political issue. However, I'm definitively pro-life. The way in which Wendy Davis was deemed a hero last week was disappointing. This article by Kirsten Powers in The Daily Beast articulated what I could not. Chad Gibbs wrote one of my favorite books Love Thy Rival (free on Kindle as I type this). Now, he is writing a column for the Opelika-Auburn News about being a new stay-at-home Dad. I couldn't pick just one article, so read them all. Check email no more frequently than once every 45 minutes. Turn off incoming email notifications and set up email clients to display the sender, subject line and the first three lines of the email to make messages easier to scan and triage. Buzz Feed's 18 Babies Experiencing Things For The First Time is .gifs with babies. Your ovaries will thank you. You too, gentlemen. 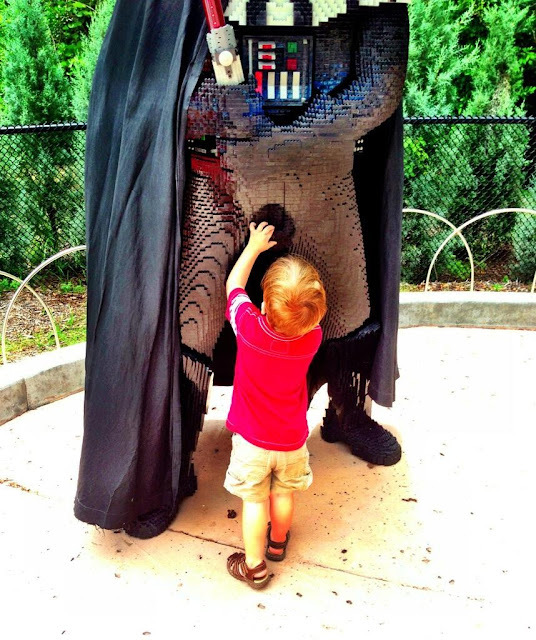 My friend and blogger Rachel Callahan posted this picture on her family trip to Legoland. I’m keeping my kids. Daughter is screaming. SON: Do you know why she is screaming? ME: No, why? SON: (coldly) Because of you. Knox's son is my new favorite. Super Mario Bros. In Food. By Hunter Harrison. Podcast: The Bachelorette Recap in which I said: "The odds were against him but that doesn't mean all of America didn't stand by, flags at half mast, when Juan Pablo went home." Podcast: Golden Moon Buffet in which we tackled Miranda July pulling an NSA hack on celebrity emails; Jay-Z as a bad parent; and the best, worst, and yet unmade patriotic movies. Blog Post: I wrote about being called "annoying" by an Internet stranger. It was a good thing. I promise. Tweet: I'm nothing if not spiritual. Lunch small group discussed avoiding distraction in our walk with God. Then we focused on how to cheat at Candy Crush. Rabbit Sidebar: THIS is how to cheat at Candy Crush. Cake Pops: A tribute to Doctor Who and America. Now you recommend something to me. Do it.